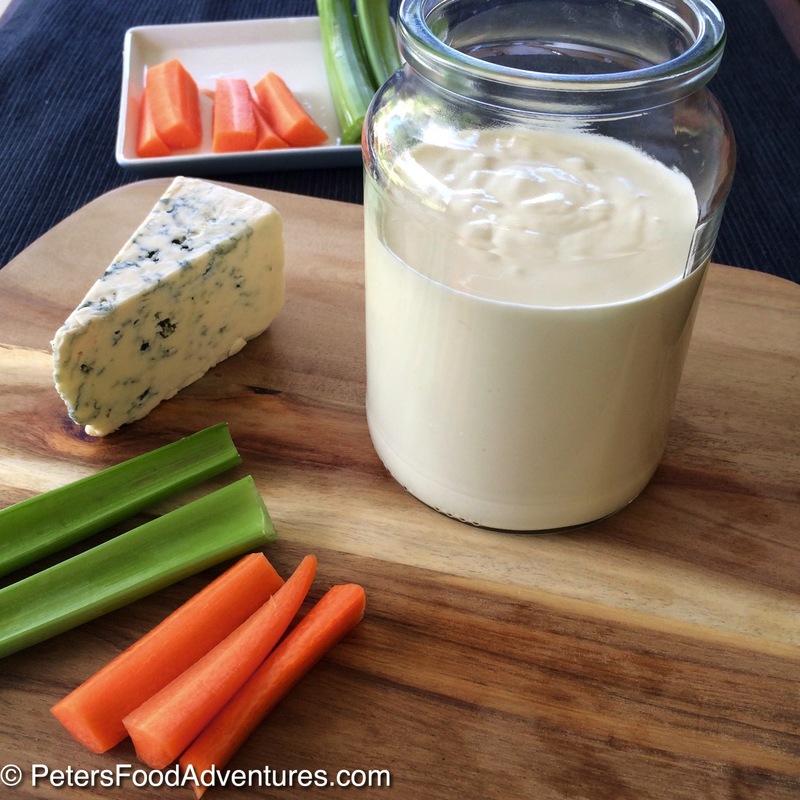 This homemade Blue Cheese Dressing recipe is a delicious recipe that you can make at home very easily. Don’t be scared of the Blue Cheese. Apparently our taste buds are meant to regenerate every 7 years or so, which means our food preferences can change. I used to hate Blue Cheese salad dressing until I tried this recipe, it completely changed my mind! Blue cheese is an acquired taste, it’s basically cheese with veins of blue mold. It’s not an easy tasting salad dressing for some. For a sweeter dressing, try a homemade American style French Dressing. Every summer, we eat this Blue Cheese Salad Dressing recipe when we make Cobb Salad. I think salads always taste better with bacon in them. I also love dipping my homemade potato wedges into the Blue Cheese dressing, or even on a baked potato. Try dipping them into fried pickles, I love this sauce! Not all Blue Cheese Dressings are made with buttermilk. I find that buttermilk makes the dressing runnier, and I prefer a thicker Blue Cheese Dressing. You can add a bit of buttermilk if you like it runnier. Are all Blue Cheeses the Same? In Europe, Blue Cheeses are known by many names, depending on their country or region of origin. They are cheeses that all have a mold Penicillium added to them, veined with a blue-green streaks. There is also a strong odor which sometimes prevents people from trying this. Common proper names for Blue Cheese are; Roquefort, Danish Blue, Blue Stilton, Gorgonzola and Cabrales. All other cheeses are simply called a generic Blue Cheese. Some are mild and creamy, others are sharper and crumblier. Taste the Blue Cheese Dressing and add more according to taste. When a recipe asks for a finely diced onions or dried onion powder, push fresh onions through a garlic press instead. Nobody like chunky bites of onion in a sauce and onion powder doesn’t have enough flavor. Simply cut off a small teaspoon size of onion and press through! Save your chopping fingers and pack your recipe with flavor. Fresh is always tastier! This recipe is easy, has no unpronounceable ingredients, and can be whipped up in a few minutes with ingredients you have at home. Plus you get to control how much Bleu Cheese you want in your dressing. After trying this Homemade Blue Cheese Dressing recipe, you’ll never buy Kraft dressing again….. sorry Kraft. Bon Appetit! Приятного аппетита! After trying this Homemade Blue Cheese Dressing Recipe, you'll never go back to Kraft again. The best part is that it only takes 5 minutes to make! Perfect for salads, veggies or even on a baked potato. Whisk all together except for the blue cheese. You can use an electric mixer, but I just used a fork and vigorously mixed together in a mason jar. Add 2 tablespoons of crumbled blue cheese and mix throughout. Taste. This creates a very mild version of the recipe. Add another 2 tablespoons and mix together. Add more to taste if required. Best to refrigerate for a few hours before use, but I usually can't wait and eat it right away!